Join us and support our cause! Founded in 2011 by group of enthusiasts enchanted by the beauty of island Šćedro, association is open to all individuals and entities who wish to join and help. Association Friends of the island Šćedro is committed to ensure long term protection of island's environment and conservation of its natural heritage as the island itself is one of the most magnificent pearls of Croatian Adriatic coast. In historical records Šćedro is mentioned in the Roman era. The island was called Torkola back then and on the island was located a Roman Taurida. In the 47th century BC, the decisive battle for the Adriatic was played on this area, where Caesar's fleet defeated Pompey. Caesar's commander Publius Vatinius defeated Pompe's fleet and conquered Vis, which became Caesar's harbor. Cake of History Šćedro is an adjective preserved in all northern Slavic languages, adjective stands for gracious, merciful. 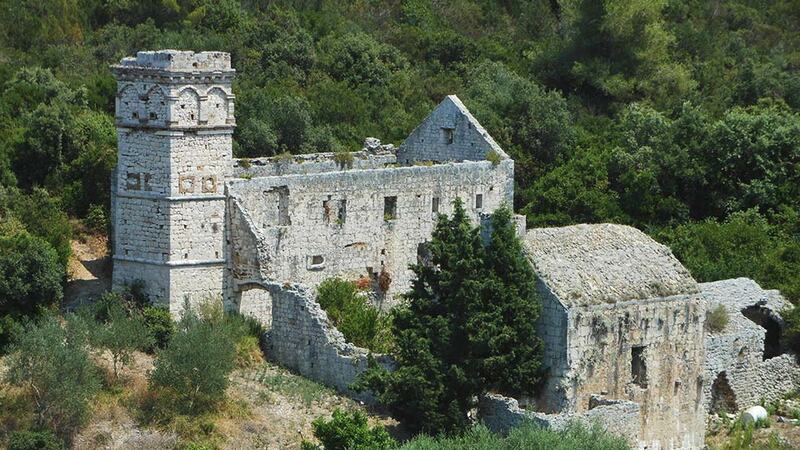 In the Middle Ages, when Croats settled in Hvar, the island was called "Torta", mentioned in the "Porijeklu i zgodama Slavena", the famous speech of Vinko Pribojević held in the church St. Marko in Hvar in 1525 ... writes Branko Kirigin. Šćedro has 87 bays and points, wearing common names. But the two docks situated to the north and south of the Vela head are wearing names that the linguists haven't interpreted. The one on the north side is called the Sotivi, and the one on the south of Tulitoni. It's interesting to guess what these toponyms mean, so if figures it out, let us know. Become a supporter of the activities of the association and save Šćedro From Pollution! 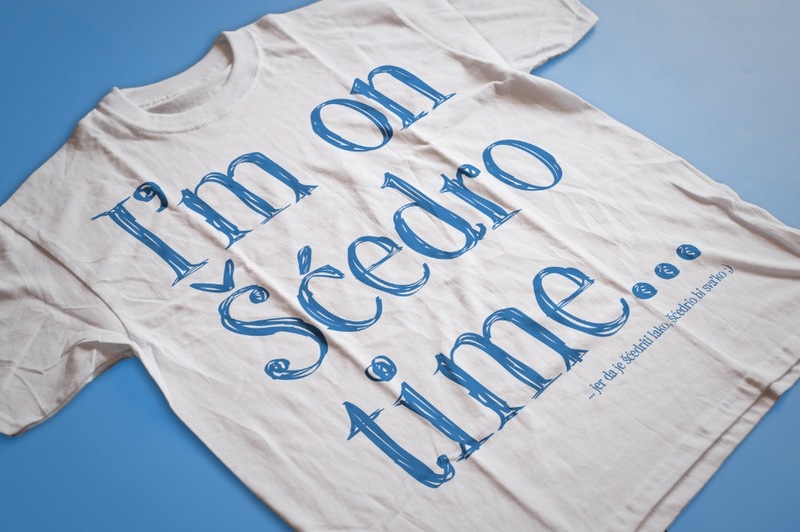 All supporters will receive a quality T-shirt of unique design as a memory of Šćedro and as a sign of their support and our gratitude. 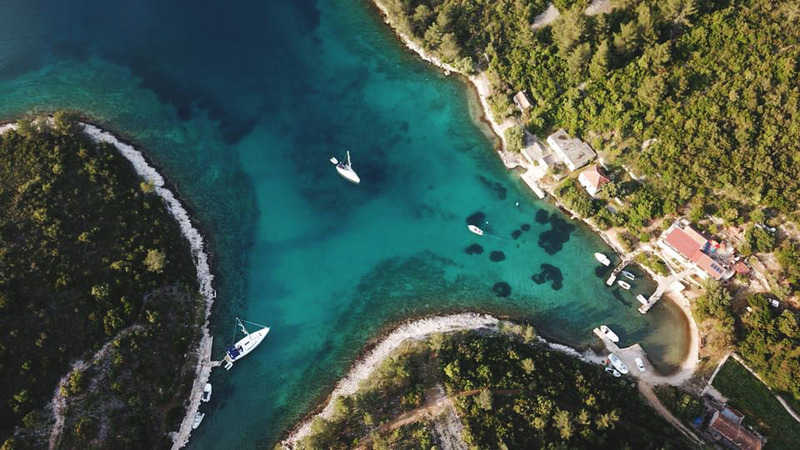 Every year the coast of Šćedro gets covered with large quantities of waste coming from the sea as a result of irresponsible boaters, large ships or waste from the land. The association organizes an annual action of cleaning up during the winter period in order to preserve the island's environment and natural heritage.